On October 2, 2016 the synthetic turf field and resilient track surface in Veteran's Memorial Stadium was ruined by vandalism. The two day concert held on the stadium track and field left the site littered by broken glass, trash, debris and physical damage from driven stakes, spilled cooking oil and heavy vehicles. 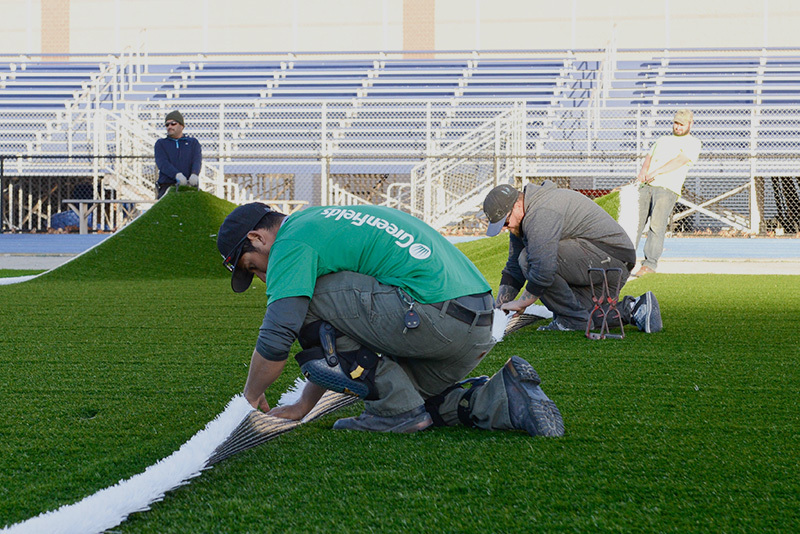 The Stadium is the only synthetic turf surface in the City of Lawrence and is host to the varsity sports programs at Lawrence High School and Central Catholic High School. The City closed the field and canceled all further events until further notice. Hundreds of high school athletes lost their home field overnight in the middle of their fall season. Huntress Sports contacted the Mayor's Office in Lawrence to try to see what we could do to help. Working with the Mayor, City Council, Department of Public Works and Purchasing, Huntress Sports volunteered our services at no cost. 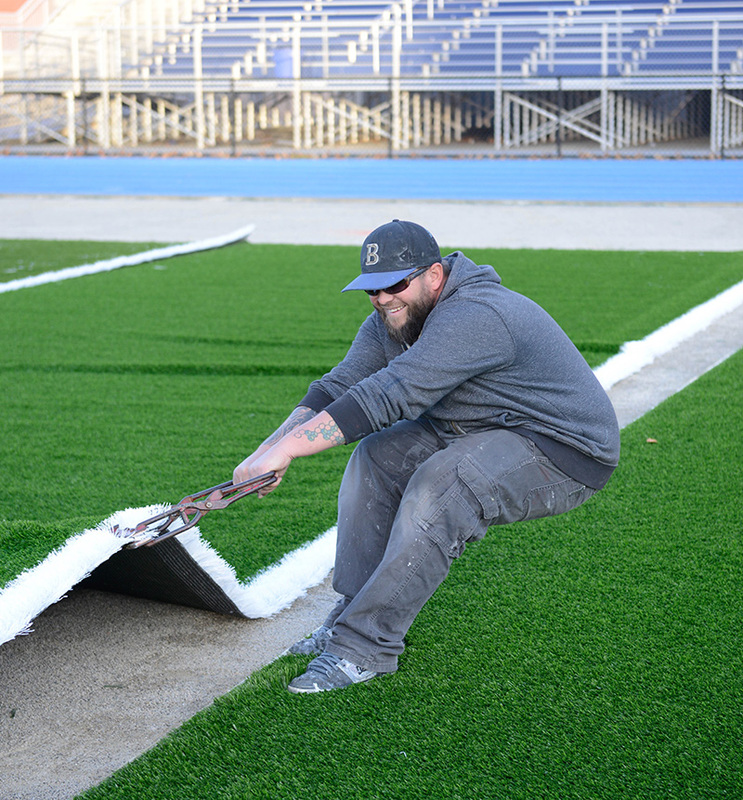 We outlined an aggressive schedule to remove the damaged turf, repair the track and install a new synthetic turf surface in time for the annual Thanksgiving Game between Lawrence High School and Central Catholic. Our hope was to show the young men and women who lost their field that when we all work together as a team we can be successful in the face of overwhelming odds. Just seven (7) weeks later, on Thursday November 24th, the new synthetic turf field was complete and the game was back on. The City has since put in place procedures that would limit the use of the stadium and insure the new investment will remain intact for the long term. Lawrence Proud - Go Lancers!